LOVELY EXAMPLE FINISHED IN WHITE, THIS CAR HAS A FULL SERVICE HISTORY WITH 5 SERVICE CARRIED OUT SO FAR. THIS IS THE HIGHER SPEC CAR WITH SATELLITE NAVIGATION, BLUETOOTH, DAB RADIO, CD, AUX AND USB INPUTS, FRONT AND REAR PARKING SENSORS, KEYLESS GO, REMOTE LOCKING, AIR CON, ALLOY WHEELS ETC. GREAT LOOKING CAR. FULL BOOK PACK, FULL SERVICE HISTORY, TWO KEYS ETC. 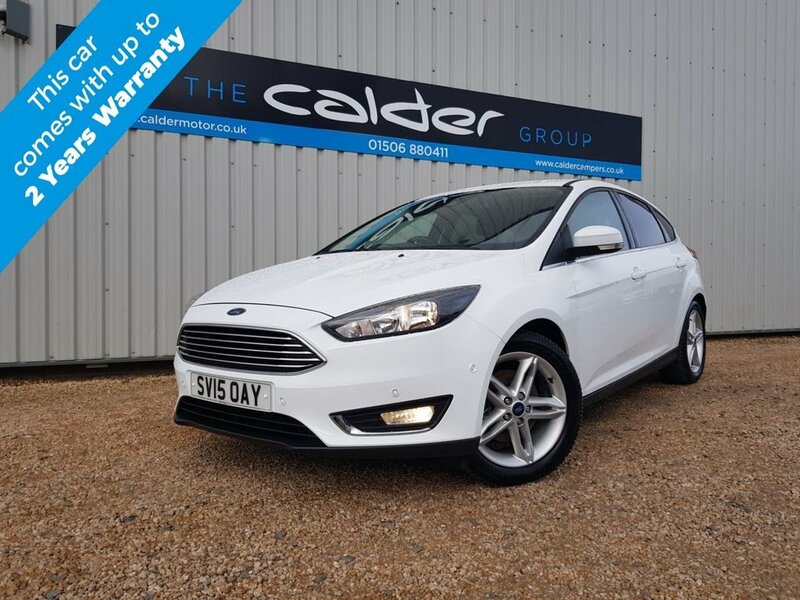 This Approved vehicle come's with our full care package including up to 2 years premier + warranty, 1 years MOT, full pre-delivery inspection, full service and fully valeted. All Calder Motor Company Premier Approved vehicles are prepared to the highest standard in every way, cosmetically and mechanically. National delivery available. Scotsure Executive plus extended warranty available for up to 2 years. Face time or whats app video walk round available on request. SUNDAY'S BY APPOINTMENT ONLY.